Eir Aoi is something of a newcomer to the Japanese music scene, but with two singles charting in the Oricon Top 10, she's certainly an artist to watch for. Aoi gave a stirring performance at Sakura-Con this year, performing favorites from her hit debut album, "BLAU." The next day Aoi sat down with the press to discuss her creative process, the artists that inspire her, and some surprising hobbies. Q: Last night at your concert, a lot of people seemed to enjoy the Madoka Magica opening song, your collaboration with Haruna Luna. What made you pick the songs you sang last night and would you consider doing more collaborations in the future? 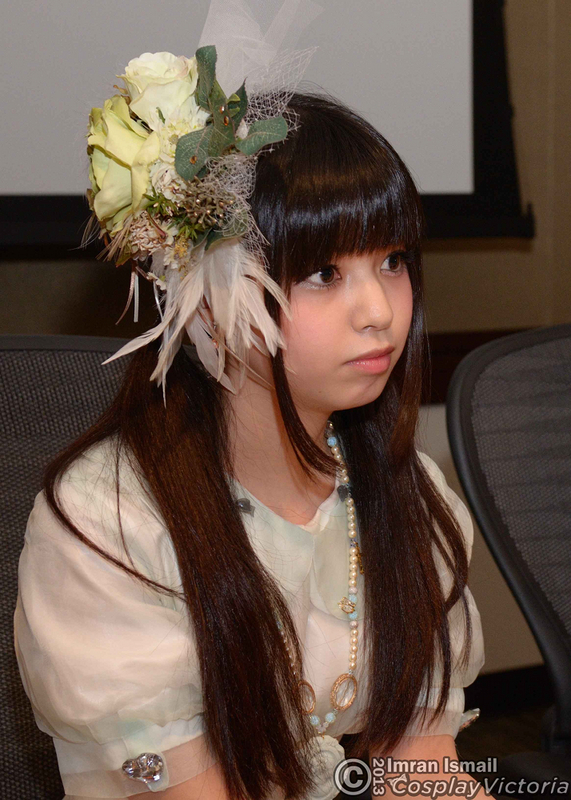 EA: I come from the same place in Japan as ClariS, and I have a lot of respect for them as artists. I hope we can do more collaborations like that in the future.